As the New Year begins it’s the ideal time to reflect on how you’re going in life and what you want to change. My personal issue is learning how to heal hyperthyroidism. You see, it was about a month ago that my hypothyroidism swapped over to the hyper version and now my heart races and my anxiety is high. This version of thyroid-ism seems more suited to my active personality – so it’s easier to work with because I can see clearly the personality traits, beliefs and attitudes that may be causing this physical symptom. It is my belief that we create our physical diseases and illnesses with our beliefs, thoughts and attitudes. People tell me that the throat chakra (where the thyroid resides) is an expression of our personal creativity – of who we are. When the throat chakra is blocked by not speaking our own truth, speaking too forcefully or aggressively, OR by speaking before we know the truth, etc – we cause the energy flow to be stiffled…. and this causes physical problems. The thyroid plays a part in many aspects of our physical body functioning. According to Wikipedia, “The thyronines (thyroid hormone) act on nearly every cell in the body.” “The thyroid hormones are essential to proper development and differentiation of all cells of the human body. These hormones also regulate protein, fat, and carbohydrate metabolism, affecting how human cells use energetic compounds. They also stimulate vitamin metabolism.” So, you can imagine how important it is to have a healthy functioning thyroid. It was just a few days ago when I became aware of an issue that I’ve been carrying around for a few years… and how much it relates to my ability to communicate my truth… while knowing the truth and not working on assumptions. Today I felt that emotion arise again… I watched it… and realised that if I acted on it then I would sabotage a good friendship. Instead of acting on it I went on a mission to discover the full unaltered truth… at the source. Although the emotion swirled inside of me insisting to burst out… I managed to contain it and ask (maybe too directly – upon contemplation). And so I sit here proudly… knowing that I’m consciously working on shifting the patterns that cause blockages in my throat chakra. I’m also working with my thyroid with Chinese Herbs…. I see Anthony at Wing Hing Herbal Shop in Brisbane. Once I see him I can order herbs over the phone and have them delivered. Personal development has many levels and layers of exploration… including healing and balancing phyical health. 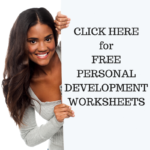 This entry was posted in Personal Development Resources and tagged beliefs and attitudes, chinese herbs, healing, hyperthyroidism, personal development. Bookmark the permalink. Next Post: Why Unplug from the Matrix?